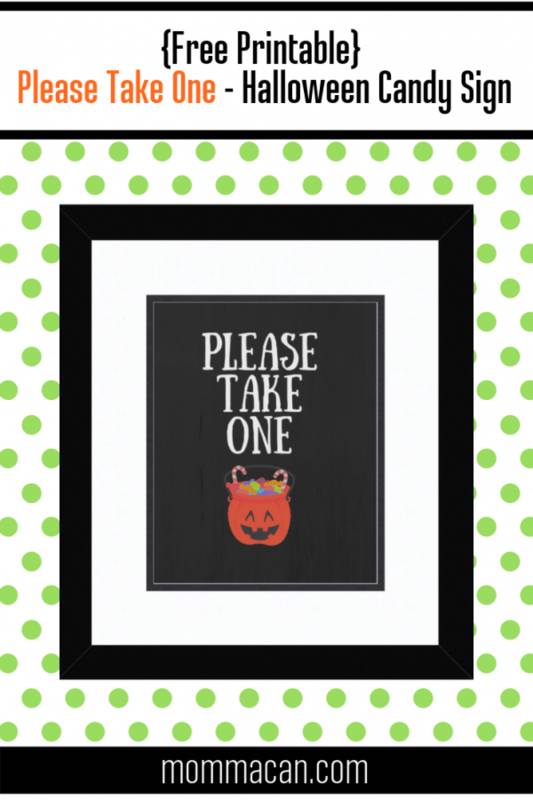 Halloween Please Take One Sign, perfect for when you are not at home but still want to treat the little ghost and goblins coming to visit! Halloween is just around the corner! We are so excited to celebrate with not only our boys but our very first grandchild. It feels odd saying that, but I am super happy to see our little gran all dressed up in whatever her heart dream up between now and 31st! This is super exciting! We are going to be popping over to visit nephews, our gran, and drop off our younger teen to wherever the kids are hanging out this year. Although, he may want to take his little niece from house to house! He loves Halloween, and I am sure he can’t wait to share his enthusiasm. We live on a street that has many families with grown children. This makes trick-or-treating kind of sparse, but we still get a few kids each year. Because we will be Halloween hopping that night I design a cute little sign for our visitors. We will still decorate, turn on the lights, and make the entrance welcoming. For the time we will be gone we have a super nifty Halloween Please Take One Sign to prop outside next to the Pumpkin filled with treats! We feel good about still participating in our neighborhood’s celebration even when we are away from home. Our kids still get to decorate for Halloween at our house, even when we have plans away from home. This sign is perfect for when you are not home for Halloween or have to take a quick break and don’t want the little ones to be disappointed. 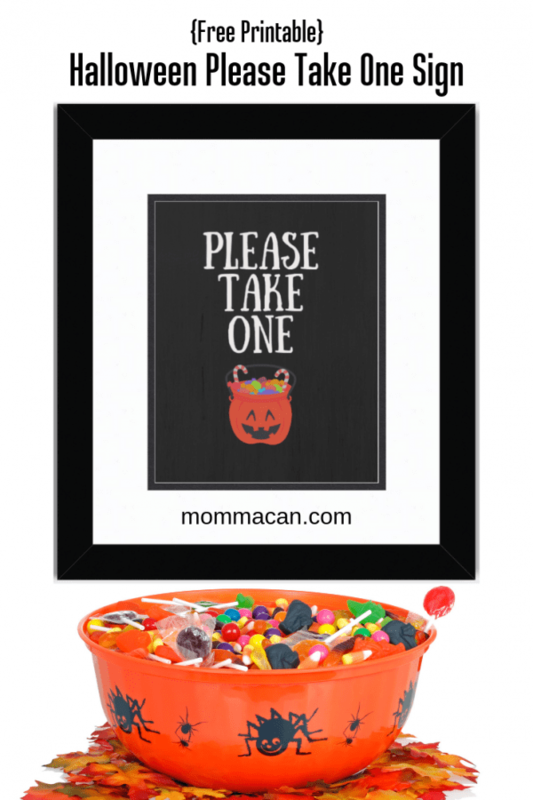 The Halloween Please Take One Sign is also good for Class Parties and Youth Events. This handy sign will keep them from taking too many and leaving the folks in the back of the line empty handed! 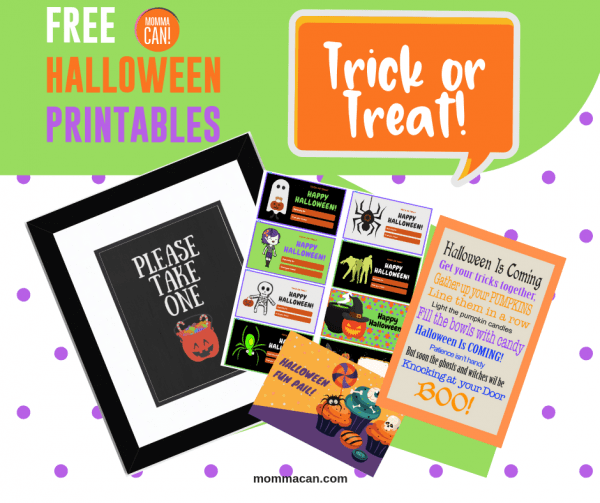 If you would like to use this printable, it is part of our Halloween Printable Collection in the Resource Library! Details at the end of this post. Subscribe (free!) 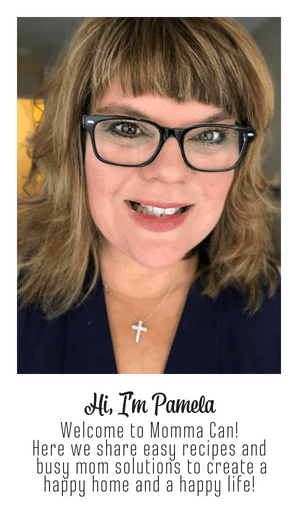 and get instant access to my resource library with all my free printables, tips and, and receive our free weekly newsletter.